When I say social media, what do you think about? Facebook? Instagram? Maybe even Twitter? Most of you won’t think about Snapchat. This is something that is quite interesting because although Snapchat having 178 million daily active users worldwide, more than Twitter’s 330 million monthly active users, it’s often a social platform that is ignored and neglected by marketers. A lot of it because it is new, at least compared to the other leading platforms on social media. Everyone is afraid of the unknown, especially when you don’t know what results Snapchat can generate to you. But the good news is that where people’s attention is, there are marketing results to be generated. But what really affects how effective a social platform is for marketing is how big the competition is. Because this decides if the platform is an arbitrage or not. Considering what I said in the beginning, that marketers are afraid of trying things that are new, Snapchat is an arbitrage. But only at the moment. Google ads was an arbitrage back in the days when it first launched because few marketers were leveraging the power of it. But now, even the world’s largest corporates are investing millions in it, which means that it isn’t close to being the arbitrage it was back in the days. For now, though, Snapchat is a real arbitrage for marketers. This goes for both paid ads and organic marketing. Only a few brands have realized the immense attention that is on the platform (relatively speaking), so you’ll have a much easier time gaining traction. Snapchat offers marketers the ability to both leverage the platform for organic marketing, but also for paid ads. In this article,e however, we’re going to look at 6 Secret Tactics to Growing Your Business With Snapchat without the help of ads. We’re going to look at how you can leverage the power of Snapchat marketing. No matter if the competition on Snapchat is relatively low at the moment, threes nothing that says it’s going to be continuingly low in the future. And remember that even though the competition is low, it’s only relatively speaking, which means thousands, if not tens of thousands of brands are leveraging Snapchat for marketing. This means that you need to be unique to stand out from the crowd and convince your audience to follow you. If you’re just a copycat, there’s no good reason that people should follow you, when they can be following the real deal instead. On Snapchat you can only create content up to 10-seconds in length – a fairly limiting canvas to work with for brands. Thе key to maximizing this – outside of using Snapchat’s Stories platform to string together a series of Snaps into a longer narrative – is to ensure you’re offering incentives to motivate your audience to seek out and open your Snaps. Some options for this could bе behind-the-scenes info, a quick tour оf аn important part of the business, a shout-out from someone (Snapchat videos are sound enabled by default), оr just pictures оf fun things related tо your business that the public wouldn’t see otherwise. You don’t have a lot of time to work with, so you need to ensure your content is snappy and engaging – and provides something users can’t get anywhere else. 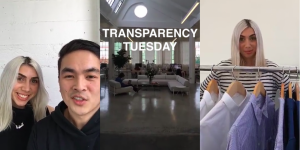 One of the most popular ways brands use Snapchat is to give behind the scenes VIP access to what is happening behind the curtains inside the brands. Because Snapchat is a platform that is more casual and relaxed, it is also more transparent and authentic. This means that unlike other platforms like Facebook and Instagram, the content you put out on Snapchat doesn’t have to be polished to perfection. In fact, people like when it is raw and transparent. That’s also a thing that makes Snapchat more unique, and that separates them from the other social giants. Very rarely, you see Stories from brands that are this edited and perfected. Instead, in the vast majority of the time, you see content from brands that are posted live and is unedited. Sharing exclusive behind the scenes content is great for attracting an audience. If people are following you on Instagram, for instance, and all they see is content edited to perfection, sharing raw cut, unedited behind the scenes content gives them a reason to follow you on Snapchat. People love seeing what is happening behind the fences, who is working behind the curtains to make things happen inside the company they love, and they love to see how the brand they love so much became e a reality. In the last centuries, brands have been very ”hidden” and secretive with what is happening behind the scenes. Fortunately, more and more brands, including the ones that operated during the era of secrecy and privacy, are starting to realize the many benefits of being more transparent and sharing what is happening behind the scenes. And an important reason for that is social media. It has given brands a completely new way to share with their audience what is happening behind the scenes. And Snapchat, in particular, has opened up completely new possibilities. This is part of the reason why those brands that truly embrace Snapchat see tremendous results. Moreover, just sharing behind the scenes content to help you build better relationships and to humanize your brand isn’t the only benefit of Snapchat. Another way you can leverage Snapchat and attract more people is to share VIP content that is limited to a number of lucky few. For instance, let’s say you run a private event to which only a selected number of people get invited to. By leveraging Snapchat and showing your audience what is happening on that event, and showing behind the scenes of that VIP event, you can make your content exclusive and attractive. In other words, you make your content on Snapchat highly sought after by showing things that only a few number of people get to be a part of. For instance, let’s say Tesla is going to release the world’s first flying car. A selected number of 50 people are invited to the launch, and there is no place to see the launch anywhere else, except for one place: the brand’s Snapchat. As a result, you can expect Tesla to grow their following dramatically if they’d actually do this. This is because they provide their audience with content that has a very high value. And remember, the more value you can provide your audience, the more people will come to you. And ultimately, the better marketing results you’ll generate. Why share behind the scenes content? Why should you be sharing behind the scenes content on Snapchat? Well, the simple reason is that it helps humanize your brand and build better relationships with your audience. Think of brands like Coca-Cola and McDonald’s. In general, customers don’t have a very strong emotional connection to the brand. Sure, we’re loyal to the logo and brand name. But we don’t feel a deeper connection with the brand. That’s because it isn’t humanized. When you share behind the scenes content, for instance how you’ve developed a product, what people in your team are doing what, who your customers get to talk to if they’re filing a complaint and so on. Doing this removes the gap between brand and customer, and helps you make your audience develop a relationship with the people behind the brand, not the facade of your brand. And ultimately, this leads to more engaged and loyal customers. And I don’t need to explain why that is important, do I? The foundation for building a strong and engaged audience is to provide your audience with value. On social media, the main value proposition you have is your content. 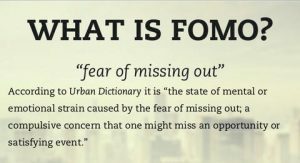 Therefore, the foundation driving great on social media is creating high-quality content that brings your audience value in one way or another. Sharing teaser content on Snapchat is, similar to sharing behind the scenes, a great way to make your audience engaged in your brand on Snapchat, and to make them follow you. When you share teaser content, you build up hype and get people excited about your launch, and Snapchat is the perfect platform for doing this. On Snapchat, the maximum length of a video is 10 seconds, and this is the perfect length for a teaser video. The same principle goes for showing behind the scenes content as sharing teaser content, but when you share teaser content, it’s important that you don’t reveal too much, because if you do, the hype will be lost, and the anticipation you’ve built will be gone, because everyone already knows what it is you’re going to release. The best part about Snapchat is that it allows you to build a story around your product launch with the help of short snippets or photos. With Snapchat, you can create an appealing story and spark interest in your audience. Most importantly, by telling your audience on other places where they follow you that they can get exclusive access to a product they might be excited about. Remember that the main reason people use Snapchat is for entertainment, and this is something you want to have in mind when creating your teaser content. Make it fun and engaging, and create them in a way that sparks their interest and attention. This is also part of being unique and standing out from the crowd. Offers and promotions are effective on all social platforms, and this means that they work great on Snapchat, too! Snapchat is a great place to spark engagement and get your audience to perform an action, because since your stories are only up for 24 hours, you create the FOMO – fear of missing out in your audience, as well as create a sense of exclusivity that your audience is getting access to deals and promotions that few are getting access to. When your audience knows that you are sharing special deals and promotions on your Snapchat every now and then, they’ll make sure to tune in daily in order to avoid on missing out on any amazing deals from you. Not only does your audience become more engaged in the content you share, but they will also value it more because it is shared with a limited number of people, and only available for a limited amount of time. 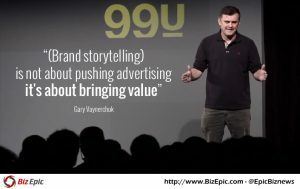 ”Brand storytelling is no about pushing advertising, but it is about providing value”. In case you didn’t know, storytelling is a tremendously effective in marketing. Humans relate and resonate with stories, not ads, and this is the reason why storytelling is so effective. It is essentially selling without selling. The good news is that the format of Snapchat allows you to tell stories in an appealing and digestible way. After all, the place where you share your content on Snapchat is called Snapchat Stories. It is made for telling stories. This is why, when sharing stories, you shouldn’t just share posts of everything that you come across. Instead, you should share stories that are coherent and creates easy-to-follow stories. 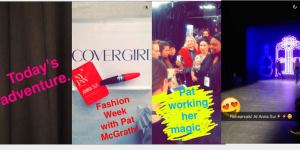 A brand that has embraced storytelling on Snapchat is Makeup brand Covergirl. Last year, they created Snapchat campaigns around New York Fashion Week. where they shared content on stories that allow their followers to get an inside look at runway shows and the set backstage. 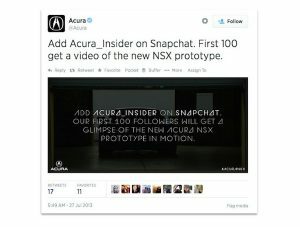 Not only is this a great way for the brand to promote their products, but it is also a good format to build anticipation around your stories because keeping your story focused on one particular topic for a day or a specific time makes your audience engaged in continuing to watch in order to find out more. Snapchat is a great platform to run giveaways on. Not only do giveaways on Snapchat allow you to build your audience, it also offers a ton of different ways you can set up your giveaways on. The foundation of success on Snapchat is to have a large audience because that is the only way to reach and impact people. If you don’t have an audience on Snapchat, you’ll stand there, and waste your efforts, because no-one will watch the stories you create. Snapchat is different from most other social platforms in that sense. Using hashtags or engaging with people can’t really be done on Snapchat to build your audience. Instead, you need to have other approaches to building your audience on Snapchat and ultimately impacting them and generating great results. This is where giveaways come in handy. Leveraging giveaways on Snapchat will most importantly allow you to grow your audience, but also generate more sales and get your audience more engaged in you. It all depends on how you want to set up your Snapchat giveaway and what your objective with it is. When you create a giveaway on Snapchat, you obviously want to let your audience on your other social media platforms know about it. Because doing so makes them add you on Snapchat, and then reach and impact them over and over, long after the giveaway has ended. Attention is what you’re going after as a brand, and by getting your audience to add you on Snapchat, you’ll have their attention every time they watch your stories. One way to run a giveaway on Snapchat is to ask your audience to screenshot a specific story. This way of setting up your giveaway makes it easy for people to join, which also means that more people will be willing to join your giveaway. Another way to run a giveaway on Snapchat is to ask your audience to send you a snap to enter. For instance, ask a question to your audience, and have them respond to it to join. Let’s say you say ”name the best thing about our brand”. That way, you can leverage your giveaway both to grow your audience, but also to receive customer feedback. If you’re looking to grow your audience on Snapchat (which you should), a great way to do so is to ask your followers to refer a friend to join. Have them tell which friend they referred, and then look at your friend’s list to see that they’ve actually referred a person. This way, you leverage the power of your audience to grow your audience.